In November, Salesforce.com reported its third-quarter earnings for 2015 fiscal year. Revenue was up 29% year-over-year to $1.4 billion, including $1.3 billion in subscription revenue and $95 million in professional services revenue. However, despite the fact that revenue from subscriptions and professional services was up 28% and 33% year over year, respectively, both of those figures were down from last year’s year-over-year growth of 36% and 50%. CRM anticipates full-year revenue for the 2015 fiscal year of nearly $5.4 billion, which amounts to a 32% year-over-year increase. Analyst consensus is also in line with that estimate. However, compared to the fourth quarter a year ago, Salesforce.com expects a 1% year-over-year decrease in revenue growth (full-year revenue for 2014 Q4 was $4.1 billion, up 33% year-over-year). Further, management’s full-year revenue guidance for its 2016 fiscal year of about $6.5 billion would equate to approximately 21% year-over-year growth, a decrease of 11% from the 2015 fiscal year — if CRM stock meets expectations. Management guidance for fourth-quarter revenue was about $1.4 billion, a 25% year-over-year increase. Analyst expectations average out to the top end of CRM’s guidance. Similarly, Salesforce.com guided for non-GAAP earnings of 13 cents to 14 cents per share, matching the 14 cents reported in its third quarter, and analyst consensus is the same. So, both Salesforce.com management and the Street expect no EPS growth from the fourth quarter. Why is Growth Slowing for CRM Stock? Growth has been slowing for Salesforce.com due to increased competition in the cloud computing space, particularly from Microsoft Corporation (NASDAQ:MSFT). In it’s latest quarterly earnings release, Microsoft reported commercial cloud revenue growth of 114% from last year, with increases attributed to its Azure and Office 365 cloud platforms. Salesforce earnings could suffer going forward as MSFT continues to attract customers who would otherwise pay CRM for similar services. But, Microsoft isn’t the only tech behemoth fighting for position in the cloud computing arena. 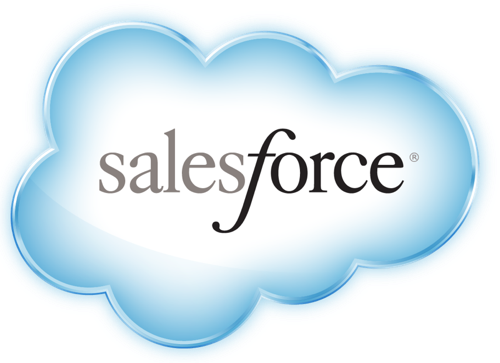 Salesforce.com will have to contend with the likes of Oracle Corporation (NYSE:ORCL) and itstransition from on-premise systems to cloud-based offerings, Amazon.com, Inc. (NASDAQ:AMZN) and it’s dominant Web Services platform, Hewlett-Packard Company (NYSE:HPQ) and it’s new Helion portfolio, and Google Inc (NASDAQ:GOOGL, NASDAQ:GOOG) with it’s continuously expanding Cloud Services platform. These technology industry giants, alongside countless smaller private companies, all want a piece of the cloud market revenue pie — IDC recently released predictions for the industry, stating that the market will reach $118 billion this year and $200 billion by 2018. Many of Salesforce.com’s competitors have invested significant amounts into expanding their cloud computing offerings, and the success of those investments has already starting chipping away at CRM’s market share. Unless management can devise a plan to separate itself from the pack in a big way, expect less revenue in fiscal year 2016 and further erosion of earnings for CRM stock.